Pakistani batsman Sahibzada Farhan, who impressed all with his tremendous performance in the recently concluded Pakistan Cup for his team Balochistan, has admitted that legendary Indian batsman Sachin Tendulkar is his cricketing hero. 21-year-old Farhan, who was drafted as a late replacement by Balochistan for Azhar Ali, leaped into the limelight as the third-highest scorer in the Pakistan Cup, country's premier List A tournament. In five innings, Farhan amassed 331 runs at an average of 66.20, scoring four fifties and an all-important century in the final. The 21-year-old helped pile on a formidable opening partnership with Fakhar that set the foundation for Balochistan to go on a late onslaught and reach a big total. Speaking in an interview with PakPassion.com, Farhan said Tendulkar is in different class altogether and is a legend. "The player I have watched and admired has always been Ahmed Shehzad but if you ask me about who I like amongst the non-Pakistanis then the answer is simply Sachin Tendulkar as he is in a different class altogether and is a legend. Sachin is my cricketing hero and he is a legendary cricketer," he said. The 21-year-old is also now hoping to be selected for one of the teams in the Pakistan Super League (PSL) to showcase his talents and skills. "To be honest, I am still a little dizzy with my success from the Pakistan One Day Cup but beyond that, I have some ideas of playing for a department in the next season, although my loyalty has always been with Peshawar," he said. "And of course, I am interested in playing in the Pakistan Super League. I have been told that given my recent performances, there is a high likelihood of my selection for one of the teams in the PSL," he added. 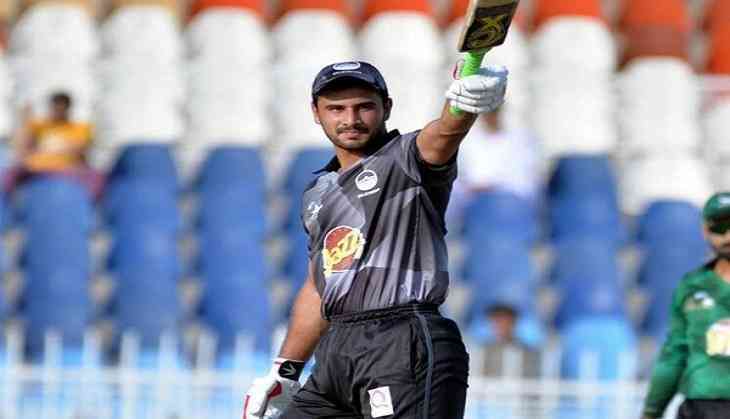 The right-handed batsman further maintained that if he keeps performing well, it would definitely draw the attention of the selectors and he would get selected in the PSL. "But all I know is that it is my job to continue performing and it's the job of the selectors to reward my hard work, God Willing," he said. "I really hope I get a chance to play in the PSL and show my skills in that tournament," he added. Earlier, Pakistan Cricket Board ( PCB) chairman Shaharyar Khan had also heaped praise on Farhan, saying the selection committee is focused on inducting young players like him into the national side and want them to take the team forward in the future. "We want young blood to play for Pakistan and will base our selections on that. Sahibzada Farhan performed really well in the Pakistan Cup and certainly has a great future," he had said at the final of the Pakistan Cup in Rawalpindi. "Young players are the future of Pakistan and we would want to give them the opportunity to step forward and don national colours," he added.